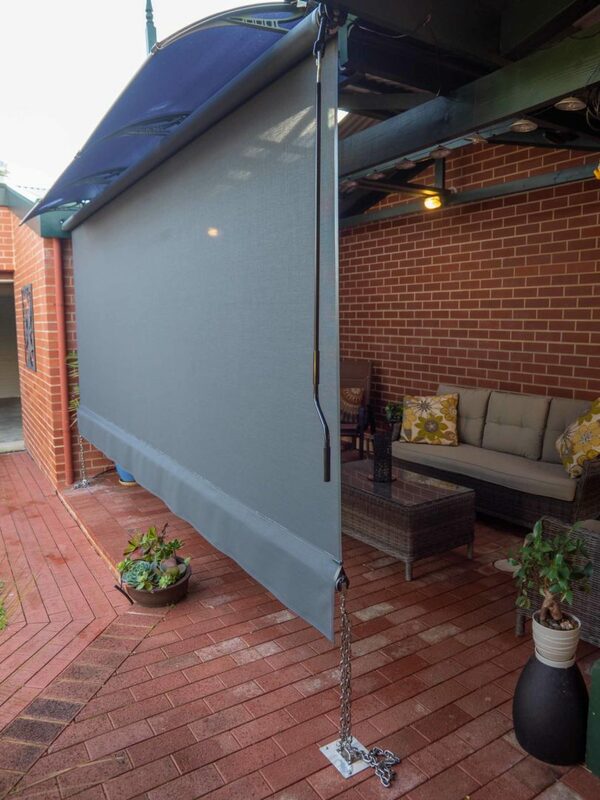 External shade or patio blinds are designed to offer shade and protection from the weather and give users a higher level of privacy when entertaining outdoors. Australian Outdoor Living’s range of outdoor blinds is state of the art and specifically designed to suit you and your home, giving you the freedom to enjoy the fresh air in comfort and style. Purchasing outdoor blinds should be a one-time investment that can have long lasting benefits for you and your home. In this post we provide a helpful guide to buying your new set of outdoor blinds. A Helpful Guide to Buying Outdoor Blinds. Australian Outdoor Living’s outdoor blinds come in three different material options. The first option is our clear and tinted café blinds, which come either in our Bella Crystal or Bella Bronze colours. Outdoor café blinds give you protection from the weather while offering 100 per cent transparency. They’ll provide you a clear, crisp view of your backyard. Our Bella Crystal and Bella Bronze material is made from extruded PVC, which is the best on the market. This ensures your blinds remain clearer for longer. 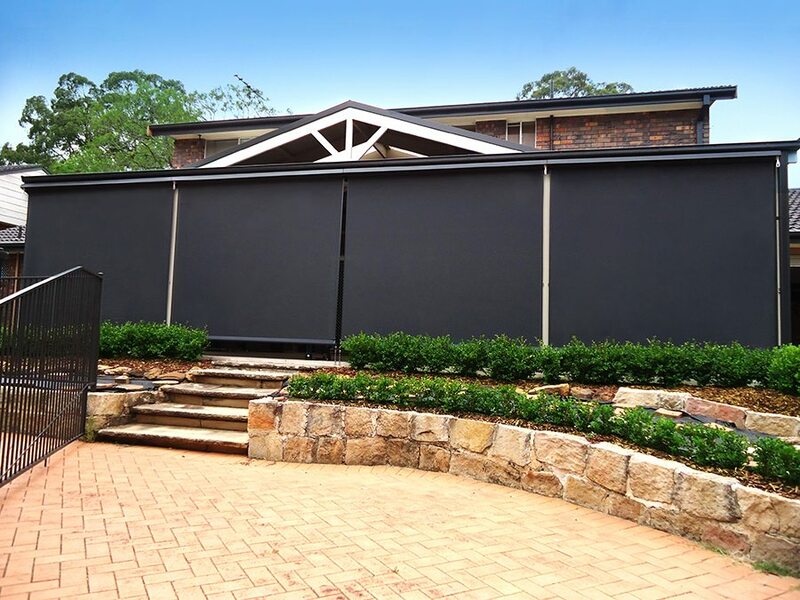 Next you have Australian Outdoor Living’s Bella Vista range of shade blinds. The Bella Vista shade material, with its 2×2 weave, allows you to experience the view outside the blind in the comfort of the cool shade. The Bella Vista also offers a moderate level of privacy looking in with uninterrupted views looking out. Available in an array of colour options, the Bella Vista range is Australian made and designed to your specifications. Lastly, we have our Bella Opaque blinds. The Bella Opaque range offers all the benefits of the Bella Vista, only with more shade, more privacy and more protection from the harsh Australian elements. With a high level of UV protection and a thicker weave, the Bella Opaque material will shield you from the harsh sunlight and provide shelter from the wind and rain. Choosing the operating system for your outdoor blinds. Now that you’ve chosen your blind, you now have to think about how you might like to operate them. At Australian Outdoor Living we offer either manual or automated operation systems. The Classic gear tensioned blinds are incredibly popular among Australians. This manually operated system allows for complete control of the blind tension, regulating your blinds and ensuring they remain taut at any height. The simplicity of the Classic blinds is what makes them so popular. They don’t feature any zips, pulleys or straps, and they don’t require electric to operate! All of this contributes to these blinds passing the test of time. The Classic’s simplicity and wide colour range make it perfect for any home. Our next option, the Neo operation system, offers all the benefits of the Motion system but without the electrical component. This variation allows for a wider blind span and installations on a standalone structure without a power connection. The Neo system uses an articulated crank rod that allows for a tight fit which eliminates the use of unsightly levers or pulleys. Due to the quality components and durable design, the Neo outdoor blind series can withstand winds up 59km/h. Lastly, our Motion range of premium motorised track blinds allows you to turn your outdoor area into an indoor area with the push of a button. This is a spring loaded tension system, internationally renowned and handpicked by Australian Outdoor Living to enhance our high quality blinds. This operating system allows for complete coverage and environmental comfort control, with minimal gaps. The ease of the motion operating system uses a remote control that has the ability to control up to five blinds with a single controller. The Motion operating system can withstand winds up to 49km/h making it the perfect blind for both windy winters and scorching summers. Are you interested in a set of our quality outdoor blinds? Australian Outdoor Living’s products are custom made to suit your particular specifications and needs – that’s why we offer a free measure and quote.